Tae Popour performing during the 2018 Love On Holiday. Photo by Ty Helbach. Love On Holiday is the Holiday Music Motel’s winter collaborative songwriting retreat: an entire week during which the motel houses more than 30 songwriters who write and record a new batch of “Songs of Love … and Love Gone Away.” As with the motel’s other two events – Dark Songs and the Steel Bridge Songfest – the songwriters perform their new songs at the end of the week at Third Avenue Playhouse. In this case, that’s Feb. 8 and 9. 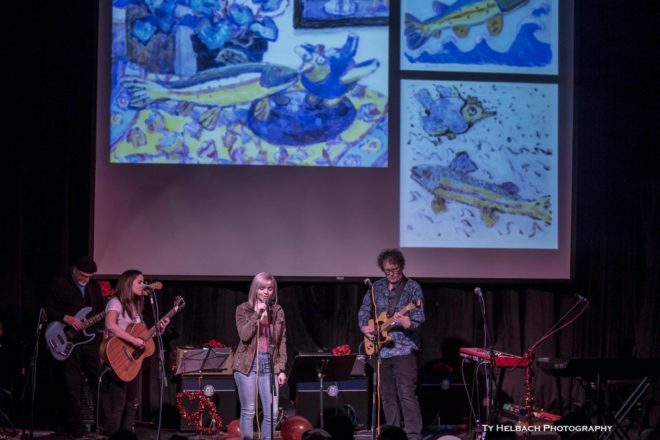 The thing that sets this event apart from the other two is that Love On Holiday songwriters are randomly paired with locally created visual artworks to use as their inspiration and muses. Images of these art pieces will be projected onto a screen behind the songwriters as they perform. New to this year’s event is a partnership between the Holiday and the Miller Art Museum, which will display the “muse artworks” Feb. 1-14 in a pop-up exhibit that’s free and open to the public. Songwriters for the 2019 Love On Holiday are Alex Wilson, Andrea Wittgens, Barrett Tasky, Ben Spatol, Bruce Butkovich, Carley Baer, Cathy Grier, Claire Kelly, Eric McFadden, Eric Rowe, Feathered Mason, Genevieve Heyward, Greg Roteik, Jadacey Teska, James Hall, Jamey Clark, Josh Harty, Kate Vargas, Leilani Diaz, Liam Hall, Lillie Lemon, Liv Mueller, Matt Spatol, melaniejane, Patrick Kelly, pat mAcdonald, Ruby James, Sam Lyons, Steve Hamilton, Steve Smith and Victoria Vox. The collaborating visual artists are the Boys and Girls Club of Door County members and Sturgeon Bay Health Services residents (with melaniejane and Stephanie Trenchard), Carli Ihde, Christine Style, Cody LaCrosse, Cynthia Wolfe, Dan Cross, Ernest Beutel, Gretchen Anderson Huber, Jordan Lenius, Katie Baeten, Kit Peot, Mary Casey Martin, Monica Ramirez, Niki Kaftan, Ram Rojas and Steve Dorchester (via Chris Opper of Door County Short Film Festival). 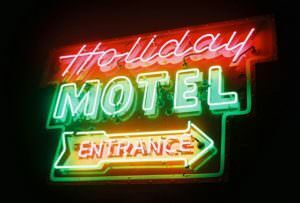 For more information, visit holidaymusicmotel.com.